However Mass Effect 3 will not be available via the popular Steam service. BioWare reitereated EA's fallout with Steam, "Steam has adopted a set of restrictive terms of service which limit how developers interact with customers to deliver patches and other downloadable content." It will be released on a number of third-party digital retailers as well. Further confirmations were made, such as players will have the ability to opt-out of data collection in-game, however some were skeptical as to whether or not Origin was considered Spyware, to which they replied it wasn't, and it doesn't install any form of spyware on customers' computers. "In order to allow Origin to install games and their patches for everyone to use, Origin implements a permission change that results in Windows, not Origin, reviewing the filenames in the ProgramData/Origin folder. This is an ordinary Windows function, not an information-gathering process." Despite the dismissal of Steam, BioWare are still striving to impress the gaming community, "We are intent on providing Mass Effect to players with the best possible experience no matter where they purchase or play their game, and are happy to partner with any download service that does not restrict our ability to connect directly with our consumers." 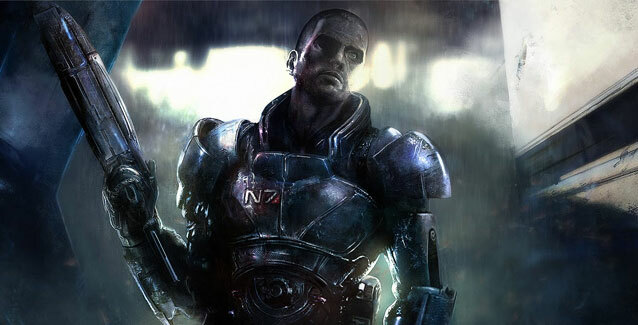 Mass Effect 3 is scheduled for release on March 6th.